Attend school from home using Acellus, an effective online education system that is empowering students to succeed at thousands of schools nationwide. Join us for the 2019 Acellus Camp! Learn at your own pace and graduate with a high school diploma from our accredited online private school. The Roger Billings Mentoring Program supports students with mentoring guidance and special tuition.  Acellus Academy is an accredited online private school, headquartered in Kansas City Missouri. 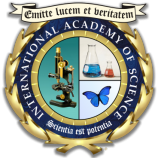 The school operates as a program of the International Academy of Science, a non-profit organization with a long history and mission of advancing education and scientific research. Acellus Academy provides online instruction to students in grades K-12 through the Acellus Learning System, which was developed by the International Academy of Science and is used to provide primary instruction to students in schools across the United States. Students may enroll in Acellus Academy year-round. Select the button below to view enrollment options.